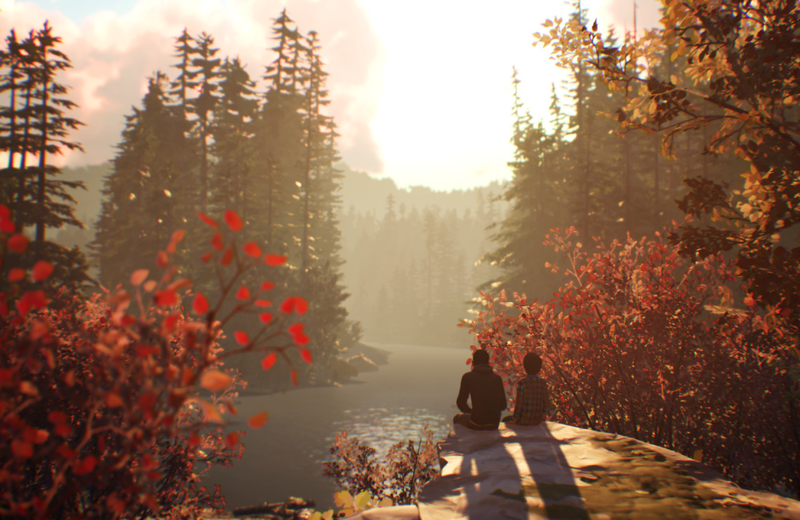 The Life Is Strange 2 reveal trailer is finally here, and we'll get to that... but first, the most important LIS2 news of the day: Jonathan Morali is returning to compose an original soundtrack for the game, which will be supported by a new licensed soundtrack. Life Is Strange 2 follows two brothers as they are fleeing the Seattle area and heading for the Mexican border. The assumption is that these are the neighbouring brothers mentioned in passing in the game's demo, titled The Awesome Adventures of Captain Spirit. The brothers are 16-year-old Sean and 9-year-old Daniel. A traumatic event (seen in the trailer... and possible in the last teaser as well) sets the story in motion. We know that Max's powers won't make a return, but we're still waiting to see what superpower is the underlying current in this sequel. Everything is new: a new cast, new settings, new gameplays, and that aforementioned new power are just some of the things to be excited for. LIS2 promises to address issues such as brotherhood, education, coming of age. Daniel will actually develop based on the choices you've made for him, so the player is almost the invisible third brother. The difficulty is balancing Daniel's needs with Sean's, who can't care for his brother without caring for himself. Developer Dontnod promises to reveal more over the coming weeks, as we hurtle towards the Life Is Strange 2 release. The first of five episodes will be released on September 27 for PC, PlayStation 4, and Xbox One.